“But you have to do it, so our children can make that choice!” says her husband, Bob – a.k.a. Mr. Incredible. After all, it’s still illegal to be a superhero. 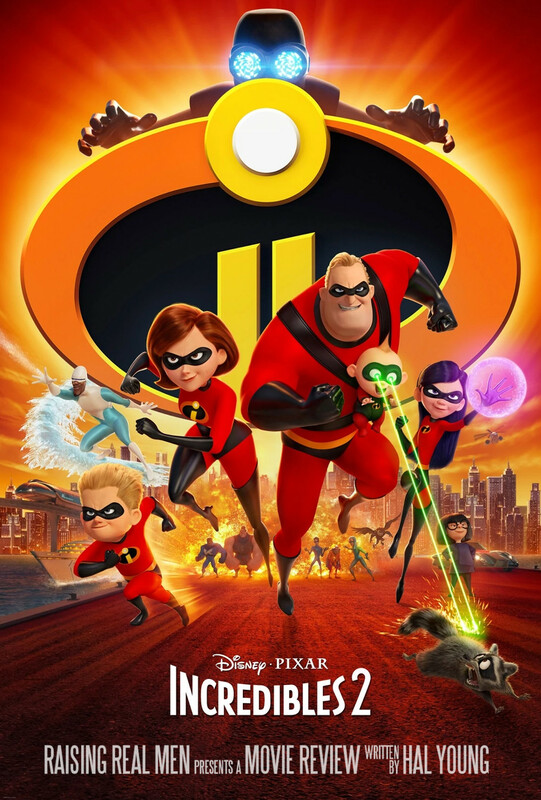 The Incredibles 2 is the long-delayed continuation of the story of the Parrs, a family with superpowers they’re not supposed to use. The first movie had a strong message of the value of marriage and family, teamwork, and working out the gifts which you’re given. Would the second film hold up to the standard of the first? The Incredibles ended with the supervillain Underminer erupting through the stadium parking lot in his diabolical tunneling machine. The sequel begins when the Parrs assume their super identities to respond to the threat. They succeed at halting the machine, but the criminal escapes, the Parrs are arrested for violating the superhero restrictions, and worst of all, Violet’s friend Tony catches her in her supersuit without her mask. Uh oh. What’s more, they learn that the superhero relocation program has been cancelled. They’ve been in a motel since a plane crash destroyed their home, and now they’ve only got two weeks to find a place to live – and a job. An unexpected opportunity arises, though – Winston Deaver, a wealthy businessman, wants to repeal the law and bring superheroes back. He proposes to change public opinion by putting Elastigirl in the news as a sympathetic figure. She would start by publicly combatting whatever criminal action arises, and the businessman would use his media and government connections to build momentum for changing the law. This puts Bob, a.k.a. Mr. Incredible, in a spot. Helen is chosen over him for the return of public derring-do because historically, her collateral damage is less. Although she’s surprised and he’s disappointed – after all, he was the one skirting the law in the first movie – Bob encourages Helen to accept the opportunity “so our children can make the choice” regarding their own powers. And that casts Mr. Incredible in the role of Mr. Mom. “It’s easy,” he reassures Helen. “Easy?” retorts Helen. “You’re adorable.” Bob and Helen discover neither of their new jobs is going to be easy. An unjust law should be changed and may need to be ignored. This was the hard one; it requires some nuanced discussion. Although she accepts the proposal, Helen is in a quandary about Deaver’s offer. When Violet uncomfortably asks her dad, “Mom’s being paid to break the law?” Bob doesn’t have an answer, and he’s saved by the arrival of the school bus. But consider the gist of the superhero law: citizens with means and opportunity to help are forbidden to intervene in life-and-death situations. That’s not right. The supers are not flying around creating incidents, but responding to criminals’ initiatives or life-threatening situations. It is right to preserve life, even if there is a technical violation of a law in the process (for example, trespassing on railroad property to pull someone out of the path of an oncoming train) – even if there’s a consequence for the violation. Develop your own gifts, and don’t resent the gifts of others. Bob is eager to get back into the fight, but he supports Helen’s opportunity to represent all superheroes for a time. Edna Mode, the costumer, is a creative genius who serves others with her gift. But in both movies, the center villain is a talented inventor who is blinded by resentment of other people, not even seeing the opportunities which lie open in front of them. Manipulating other people hurts everyone. The villain Screenslaver hypnotizes others and causes them to act on his behalf. This makes them speak and act against their own interests and even to turn on their friends and family members. Even the well-intentioned Agent Dicker, trying to protect the Parrs’ secret identity, causes problems when he erases too much memory from Violet’s friend Tony. We need to avoid trying to trick and maneuver other people – either persuade them or leave them alone! Family life is a challenge but worth the effort. “Done properly, parenting is a heroic act,” says Edna to an exhausted Bob. “– Done properly,” she adds. It reminded me of the scene in the first movie when Bob admits to his family, “You are my greatest adventure, and I almost missed it.” Mr. Incredible struggles with the unfamiliar task of 24-7 parenting, and small wonder – grappling with a hormonal teenage girl, a struggling learner, and an insomniac baby with weird emerging superpowers. The struggle is real. We were concerned how the stay-at-home dad and working mom theme would play out. 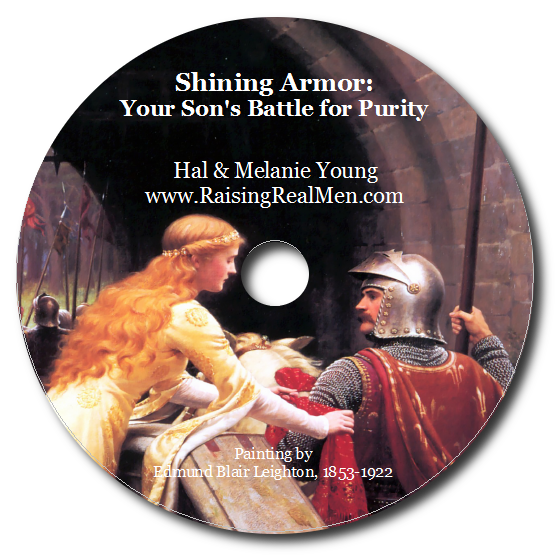 In the first movie Helen was fully invested in her life as a stay-at-home mother, but she was clearly an emotional and intellectual match for her husband – and able to act in a firm, courageous manner when needed. She’s not mousy; she chooses to be the full time Mom. In this movie, she’s flattered that Deaver picked her, but feels the stronger pull to stay with her family. Yet Bob encourages her to take the opportunity for the good of the family, as well as all the superhero community. Even in the middle of the job, when she’s enjoying the opportunity to use her powers for crime fighting again, she’s ready and willing to ditch the “career” and return home if the family needs her. 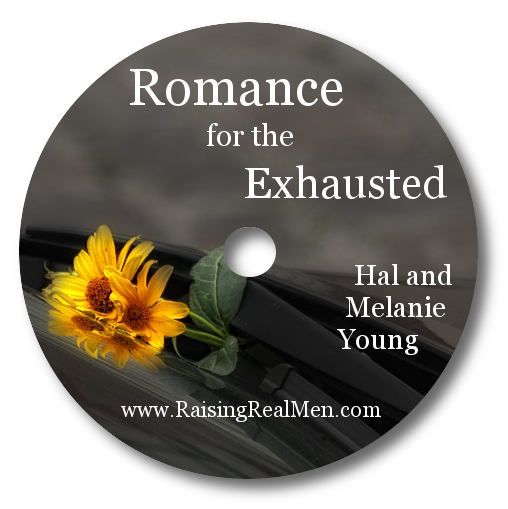 And while Bob is supportive and encouraging to Helen, he yearns to be on the job himself – though he believes that for this time, his place for daily heroics is at home. It was good to see the husband and wife looking at the whole situation, asking how it would impact their mission to their family, and then moving forward in agreement together. It would probably be good to remind your children that young children, especially babies, need their mothers and that being separated from them takes a toll. 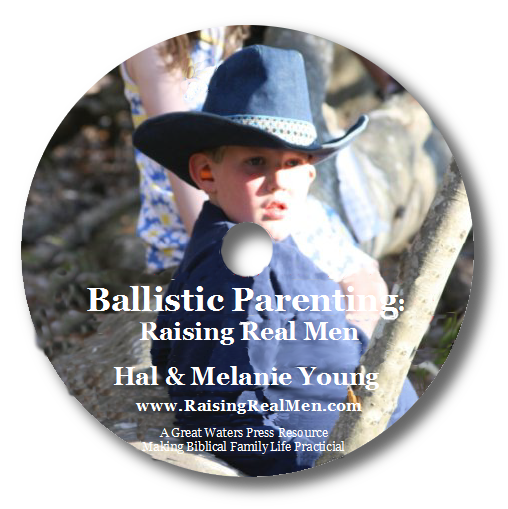 Bob and Helen felt like they had no alternative in their situation, but a decision for a mom to be away from her baby should never be made lightly. Mild language – Bob and Edna both say, in separate scenes, “OMG” when they observe Jack-Jack’s weird powers. In one rant, Bob says, “I eat thunder and crap lightning!” There are at least a couple of four-letter expletives – I didn’t notice them in the first viewing, but alert readers pointed them out (and I saw other reviewers caught them). Visual effects – The villain uses strobe lights and visual patterns in his hypnotic process. Some viewers might find the flashing images overstimulating or for epileptics, even dangerous. Except for the fight scene between Screenslaver and Elastigirl, these are brief scenes. A bao is a meat-filled Chinese dumpling. The Pixar short “Bao” starts with a Chinese-Canadian mother making dumplings for breakfast; after her husband bolts his food and leaves for work, she is startled to see one of the dumplings come to life. The story follows the growth of the little dumpling, much like the story of the gingerbread boy, as he grows up and pulls away from his “mother” to her increasing distress. When the full-grown dumpling-boy comes home with a girlfriend – wearing an engagement ring – his mother locks the girl outside and swallows up her little bao – glump! Troubling? Not if you understand it’s a dream and it’s allegorical, as the conclusion makes clear. The mother is conflicted about her real-life son, who is now full grown and independent – and has a non-Asian fiancée. When she wakes from her nightmare, her son is there, reaching out to her. At the end, you see the young woman respects their Chinese customs – notice she takes off her shoes when she comes in the house — and she has a knack for properly forming dumplings. This might work out after all! The director said she wanted to portray some of the struggles of her immigrant community fitting in to their new culture, and patterned the woman after her own mother. The Incredibles set the bar pretty high in 2004, and we were concerned whether the sequel would fall flat. 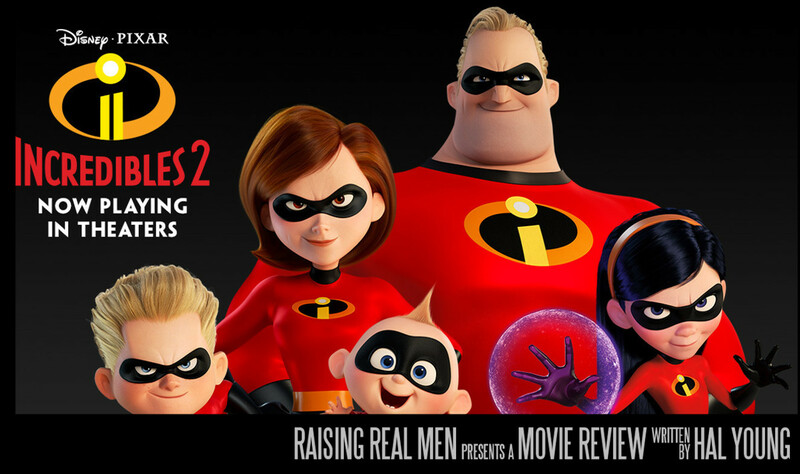 The Incredibles 2, though, keeps up the energy and the style of the first movie, with better animation and a more nuanced story line that takes more discussion. “Done properly,” as Edna says, this can be a profitable movie night for your family, too. Edited: Amended the “language” note. I was so surprised how much the hypnosis in the movie terrified my kids, all of them – ages 6 to 12. I had no idea until we got home (we saw the movie in an outdoor movie theater). I also heard from a little girl at swimming class that the hypnotism scared her – I had never met this little girl before and she just brought up the movie out of the blue. I thought my kids were just being extra sensitive, but maybe not. Good point, Julie. Actually, some children experiment with that sort of thing, and I’d rather they find it disturbing and unattractive, as long as it didn’t get into nightmare territory. The complaint I’d read about those scenes focused more on the visual stimulation and its possible effect on people prone to seizures … this is another angle. Thanks for mentioning it! Thank you for the insight Hal. I am sure that my kids will be looking forward to seeing this one! Thanks for the review. There is also some completely unnecessary cussing. I caught d**n and h*** at least once each. PluggedIn reported the same thing. I’ve adjusted the review a bit. Thanks for pointing it out! I have seen several sources stating that the movie has three actual curse words. Are they playing different versions at different times of the day? I’m assuming you would have noticed the words, so I was confused when your review did not include them. Thanks for pointing that out, Beth. Actually, I missed a couple of them – we were watching the film for the first time in the local theater and I haven’t had a chance to listen a second time or pause in the middle. I’ve adjusted that section of the review. Thank you for the review. We loved the 1st one, and were wondering about the 2nd one! The plot reminds me of the homeschool struggle in the 1980’s. Parents were homeschooling at the risk of jail. Some were jailed in the name of taking responsibility for our children’s education. Thankfully, we can now homeschool legally. We must never take our freedom for granted. We must promote and support the organizations who are our advocacy watchdogs. Mine are THEA and SMHEA. Under “QUESTIONS”, you wrote, It would …should never be made lately. Yes I did. Thanks, I corrected it! Thank you for the explanation of the weird short. The whole theater (filled with a lot of teens) let out a collective gasp when she swallowed the dumpling son. I sort of feel like a warning about the strobe lights should include a guide to the short! Don’t miss the major theme of screens and how they are enslaving us (“Screenslaver”). Our family had a great discussion about how, in the film, the public’s perception of truth was affected by what they heard from the media, and how the main strategies for either keeping or sabotaging the heroes was through influencing the media. At one point in the movie, Evelyn says that people will trade quality (real life) for ease (screen life) every time. At another point, the public is reprimanded for having weak bodies and weak minds, letting our screens live our lives for us instead of engaging ourselves. Our family had a great talk about letting God and His word be our grid for viewing and interpreting life, not our screens.